Days after a petrol tanker exploded close to the state governor’s lodge killing seven persons, another petrol tanker went up in flames at a filling station along Nnewi-Okigwe expressway, Nnewi, Anambra state last night Monday, February 11th. Although no life was lost in this recent incident, workers and customers at the filling station were said to have escaped by whiskers when the fire started. 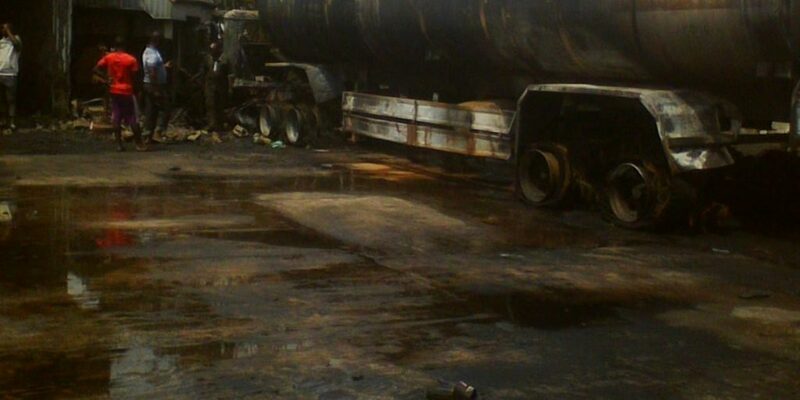 Speaking on the incident, the fuel station manager, Okeke Patrick, said the incident occurred when the tanker was discharging its product while customers were being attended to.